Artist Quint Buchholz creates evocative drawings and paintings that bring about conversations you thought you might never have. We're not quite sure what the title in English could possibly mean. 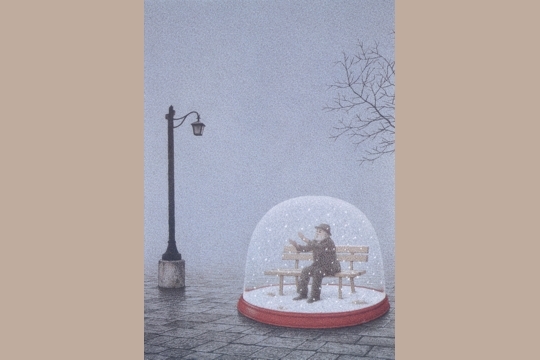 But we love the image of the gentleman on the bench celebrating the snow inside his world - the snow globe while outside it is either dusk or a dreary, rainy day. 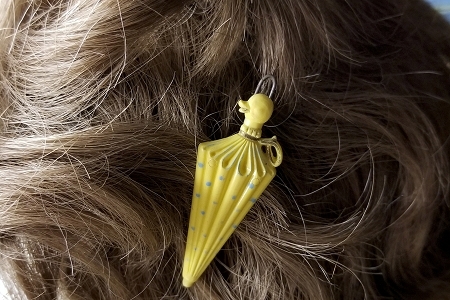 We think the message suggests that we make our own happiness by enjoying what we have - not craving what we have not. What do you think?